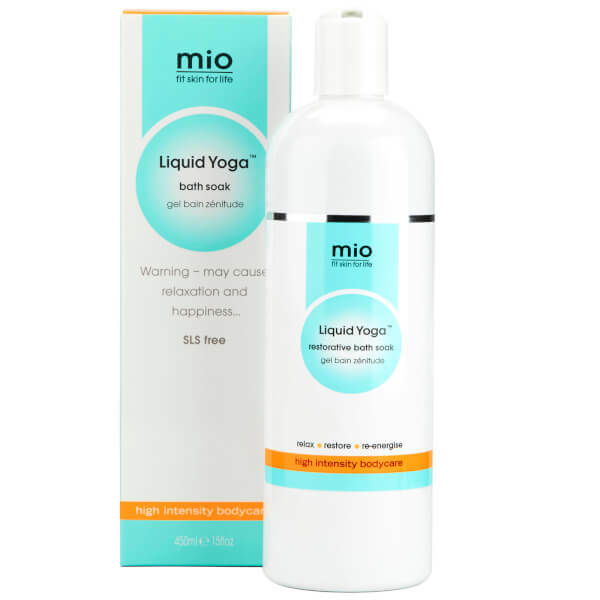 Relax your body and ease your mind with the Mio Skincare Liquid Yoga Bath Soak, a lavish milky-formula brimming with essential oils, mineral salts and herbs designed to soothe tired muscles – it’s practically a massage in a bottle! 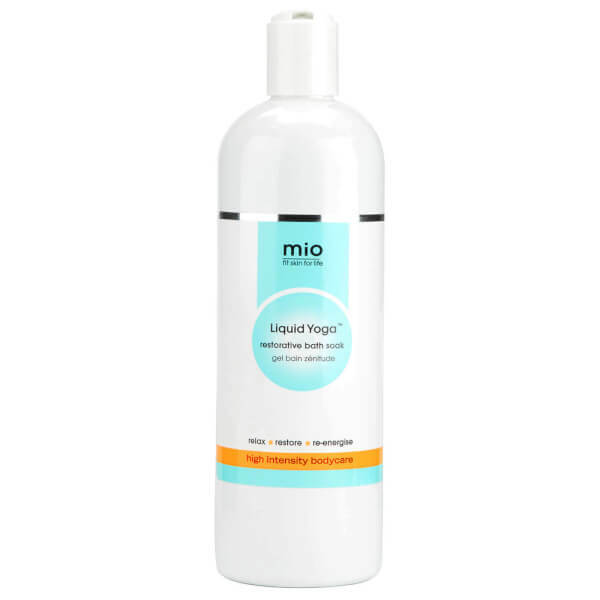 Fortified with an aromatic blend of Essential Oils: Spearmint, Cypress, Lavender and Chamomile Oils, the sensual treatment features Magneisum-rich Epsom Salts and extract of Arnica, which both work to de-stress tight, aching muscles. I use this bath soak about 2 times a week to help with muscle pain and stiffness.... not only does it smell amazing, but I can feel the tension releasing in my muscles. With a little stretching before getting in, the bath soak can work more of its wonders. I will forever buy this product.